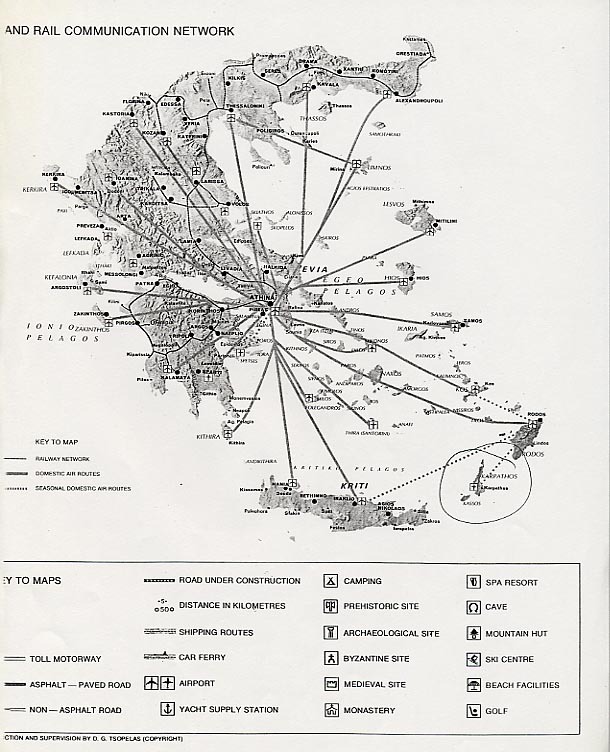 This is a general map with locations of all airports and connecting air routes as well as train routes. The primary airline within Greece is Olympic Airways, one of the best and safest airlines throughout Europe. Olympic also flies to major European hubs as well as the United States, Australia, Africa, Canada, and the Orient.